After removing the magnificent cork the room is slowly filled with the intoxicating scent of vanilla and caramel. In the glass Angostura 1919 is pale gold with thin legs that soon drip back down from the sides of the glass with the rest of the rum. The clarity is even better than what it was in the bottle. Vanilla and caramel are still detectable in the aroma but the glass seems to weaken the scent of it as it concentrates other aromas. Now floral tones are more apparent and there seems to be a smell I can't quite put my finger on and believe it or not, tar. 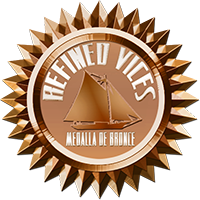 After warming the glass properly, aromas of caramel and burnt sugar become more distinctive. As I take a sip my mouth is filled with complex flavours and floral tones accompanied by a nice burn. The floral tones are a bit attacking but other flavours are well balanced. 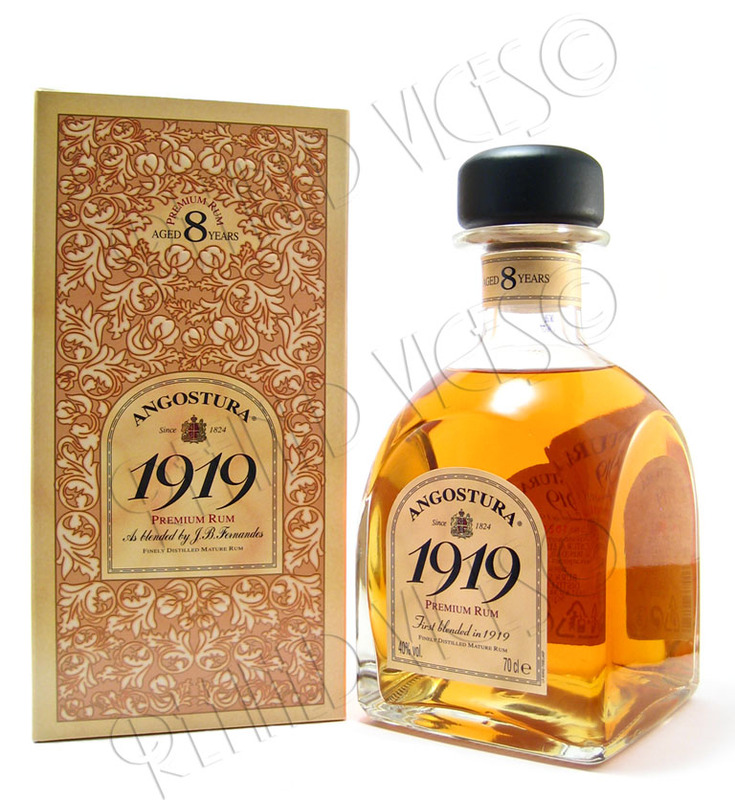 Angostura 1919 is smooth but it isn't quite as smooth or sweet as the initial aroma let you assume after opening the bottle. Dominating floral tones all over the mouth with hints of vanilla and buttery caramel in the palate remain as a rather pleasant aftertaste which becomes even more pleasant after the floral tones weaken leaving vanilla and caramel lingering in the palate for a little while longer. Although the initial aroma coming out of the bottle is almost divine, it takes some time to get used to the taste, perhaps because of the strong floral tones that push other flavours aside. The aftertaste compensates this a little when the floral tones weaken. After getting used to the taste with each sip I begin to appreciate the flavour of Angostura 1919 more.